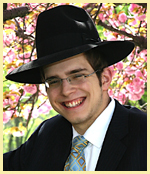 Parshas Vayeitzei 5779 – Make it O’Fishel! Rashi quotes from the Gemara that the twelve stones that composed Yaakov’s bed complained, as each one wanted to be the pillow for Yaakov’s head. Hashem morphed all of the stones into one big stone and that ended the complaining. Why didn’t the twelve PARTS of the stone still complain, each wanting Yaakov’s head on its part? The commentators answer that when you are one, there is no place for disputes or quarrels. Just as no one would get upset at his back when it needs some rest, or at his stomach when it needs some food, so too if you are truly ‘one’ with another person [or in this case, an object] then it is silly and senseless to fight. However, I still have two questions that remain unanswered: Why didn’t Hashem make the pillow one stone in the first place? Secondly, the Seforim tell us that everything that occurs to Yaakov in this Parsha is a foreshadowing of Klal Yisroel in exile. What does this episode foretell and signify? I think it is symbolic of Yaakov’s twelve sons; they started off as twelve Shevatim, each with their own personality, and it is their job to use their uniqueness as part of the larger mosaic called Klal Yisroel. Hashem wants each of us to have our uniqueness but to appreciate the uniqueness and special qualities of the other Shevatim of Klal Yisroel, and morph ourselves into one large being just as the rocks did! We are all born self-centered, caring just about ourselves, yet we know that we are supposed to reach out and care for others. How do we achieve that? Rav Shimon Shkop explains the strategy is to extend your ‘I’ [i.e. who you consider ‘yourself’ to be]. A good person will extend his ‘I’ to include his whole family. A greater person will extend his ‘I’ to include all his relatives and friends. An even greater person will extend his ‘I’ to include all the people in his city, and a true Gadol will extend his ‘I’ to include all of Klal Yisroel [and all of humanity]. May we all try to keep extending our ‘I’ to more and more people, hence we will consider all of them to be part of ourselves, which will enable us to be at peace with all of them. We will then G-d willing merit the innumerable blessings that come when one is at peace with everyone.